Czechoslovakia, 1949. 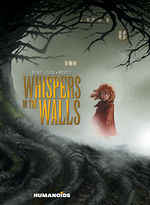 What Evil lurks within the walls of an ancient children's infirmary? After the brutal murder of her parents, Sarah, a young orphan, is about to discover that and much more. From long-buried secrets to imminent battles, the fate of man, and monster, lie with young Sarah. 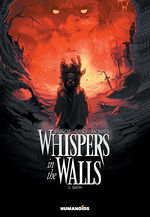 A gothic tale of horror from David Muñoz (co-writer of Guillermo Del Toro's "The Devil's Backbone" film) and artist Tirso. 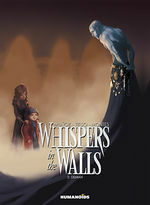 Fans of Guillermo del Toro and Munoz's The Devil’s Backbone will enjoy this story quite a bit. It’s also right up the alley of Hellboy fans and people who enjoy monsters wailing on each other. 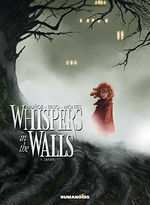 Whispers in the Walls is an enjoyable read that gives us a slightly different take on the vampire/werewolf story. There’s a lot that’s enjoyable and entertaining and this is a world I’d love to see more of. While there’s a lot that’s familiar, there’s also a lot that makes it stand out.